Looking for something to do during the break? Something festive and fun and relaxing and entertaining for the whole family ? We got you covered. 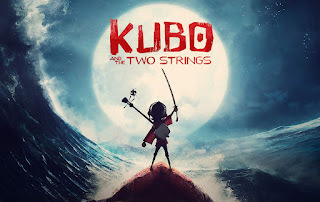 Come on down to the Burgess Community Room on Friday, December 30 from 3-5 p.m., featuring Kubo and the Two Strings (PG) on the big screen. We'll also welcome the new year with Japanese snacks, crafts and activities. Be there! Remember when we had the Frog Prince and Pete the Cat hidden in the children's room in the past? 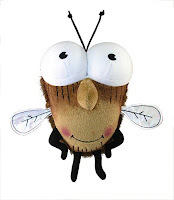 This winter break we have Fly Guy hiding out in the children's room! 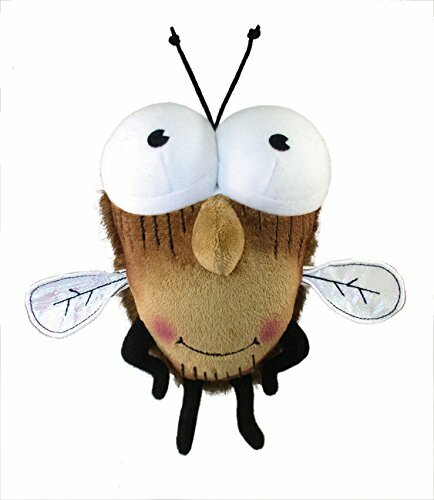 From December 17-31, when you come to the library, look around the children's room and see if you can spy where Fly Guy is hiding. Then check to see what he's reading. Come to the children's desk and let us know where you found him and what book he is reading that day. Then claim a little prize! He'll be in a new hiding spot each day and reading a different book too, so be sure to hunt for him each time you visit until the end of the year! 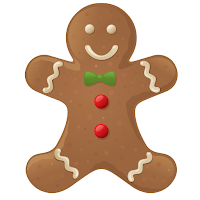 Join us for our next Super Tuesday event where Penny's Puppets will present The Gingerbread Man on December 13 at 6:30 p.m. in the Burgess Community Room. Watch and be entertained as Granny gets lonely and decides to make a gingerbread man from a magical cookie recipe. But then, oops! She leaves him in the oven too long and a fun adventure begins! All ages are welcome to attend this mini-musical modern-day twist on an endearing folktale. If you would like to preview a title before you decide to purchase it, please feel free to stop by the library and check it out! We'll be happy to help! Now is the time to redeem your WCCLS Passport to be entered into the countu drawing for amazing prizes! Anytime during December 1-16, 2016, please present your WCCLS Passport at the Children's or Adult Reference desk inside the library. Show the librarian how many libraries you had stamp your passport and earn a drawing slip for each stamped page. Fill out the drawing slip(s) and we'll add them to the county wide prize drawing! Passport random drawing prizes include: An Apple iPad Air 2, Classic Film Series tickets to the Sherwood Center for the Arts, Family Matinee Series tickets to the Sherwood Center for the Arts, a Tualatin Hills Parks and Recreation Conestoga Party (a kids party for 10), passes to the Pittock Mansion, Wine Tasting for two to Blooming Hill Vineyard and WCCLS Book Bag with 40th Anniversary swag. For more information, visit https://www.wccls.org/wccls40. The prize drawing will be held at the WCCLS headquarters office in Hillsboro on December 20th.